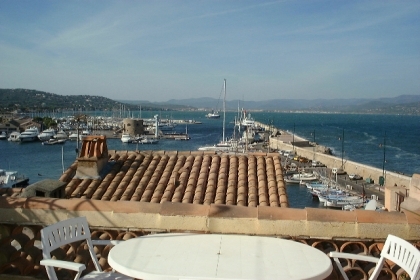 Terrace view overlooking St Tropez Port. Floor Space › 30 sq.m. This quaint and traditional apartment is all about location. It has everything within minutes walk including the town beach, plentiful boutiques and an abundance of cafes and restaurants. The view from your picturesque terrace is a great place to celebrity spot and watch the impressive Superyachts. You can also can sit and relax with a bottle of wine as the sun goes down over St Raphael. The interior of the apartment has a comfortable living room with a dining table and a compact kitchenette for your self catering needs. The cute and bright double bedroom is up one flight of stairs from the living room. You will be charmed by the vibrancy of glamourous St Tropez and what this intimate property can provide for your holiday. 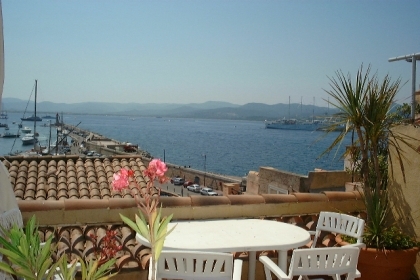 This intimate apartment in the glamourous town of St Tropez is in the ideal location to explore. 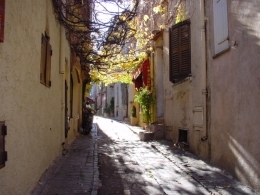 You can stroll round typical Tropezienne streets from your door. From there you can visit the buzzing port, quaint cafes that line the streets or make a purchase at one of the many stylish boutiques. 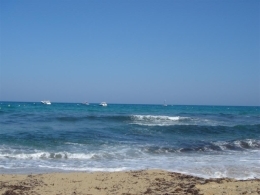 The town beach is 2 minutes walk away or take a boat to the famous Pampelonne beach thats well deserves its popularity and worth a visit. In the evening it's a diners paradise with the hundreds of restaurants offering cuisine from around the world. Why not take time to decide while enjoying a delicious cocktail in a perfect people watching location. Street view is provided to give you a feel for this neighbourhood in St Tropez. Drag street view to look around or click the map to change your position. If you are undecided, please talk to us and we'll provide any additional information you require on this apartment. Need more information about what's in the apartment, the apartment's location or just want to chat with us about whether this apartment is really suitable for you and your family, contact us and we'll help you find your perfect holiday rental. 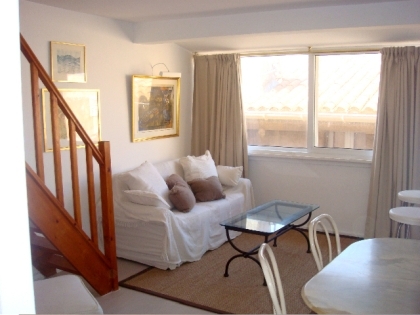 This is a 1 bedroom holiday rental apartment in St Tropez. 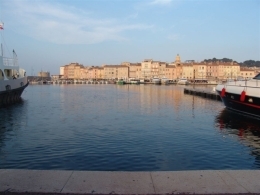 You could also view all holiday rentals in St Tropez. This apartment features a sea view and a terrace. You could view all apartments with a sea view or all apartments with a terrace. Alternatively, you could view all other holiday rentals in this price range (up to $267.1 per night), or you could view all our rentals across the French Riviera.